Join us as we celebrate Earth Day with our largest plant sale of the year that starts Saturday, April 20 and runs all week through Arbor Day, Saturday 27. Our Earth Day celebration also includes a butterfly garden groundbreaking, the opening of our spiritual labyrinth, and a tree planting ceremony. We cap the day with a Mother Earth Bonfire. So bring you grill items and guitar. Plants are the basis of our life on South Padre Island. Plants protect our beaches from storm damage, our coastlines from erosion, and our water from pollution. They provide essential habitat for birds, fish and wildlife that draw visitors and preserve the uniqueness of coastal region. These visitors are an economic lifeline for our island—they rent our condos and beach homes, stay in our hotels, eat in our restaurants, shop in our stores, and support our economy. We’re connected to plants through the air we breathe, the food we eat, and medicines they provide. But what do we do to protect plant ecosystems we depend on? 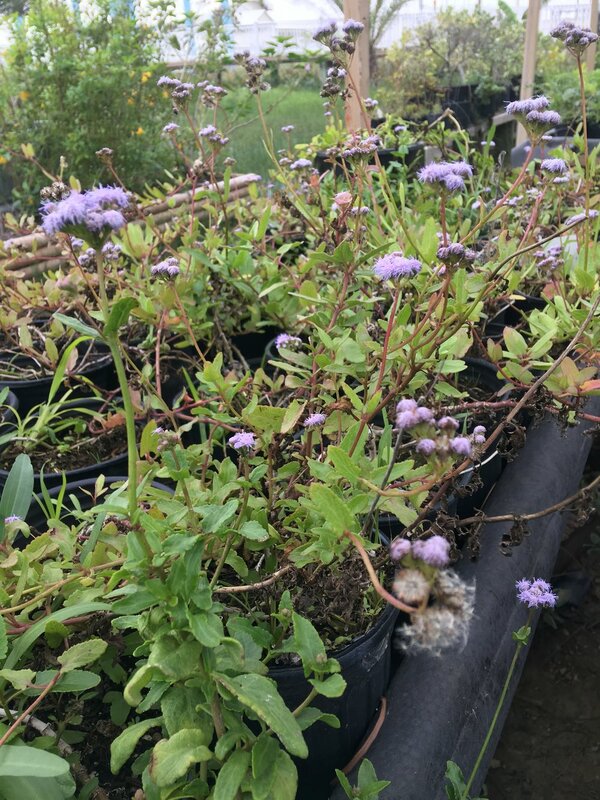 The Native Plant Center was established to provide a local source of native plants and preserve coastal plant ecosystems. In our shade cloth nursery we grow plants to support butterflies and bees, fish in our waters and birds in our trees, to stabilize our coastlines, beaches and dunes, and to strengthen our ability to rebound from catastrophic coastal monsoons. With your support, we will add an ecotourism venue and botanical garden bringing new visitors to the island. The Native Plant Center is an advocate for sustainable plant management and care—a voice that was previously missing on the island—and we need your support to continue our vital work. Help complete our development by sponsoring a garden or exhibit from the Vision Board. We have completed our initial build-out thanks to our Founding Sponsors Cameron County CIAP, Ocean Trust and Bonefish Grill. Now, we need your help to complete our development so that we can open and contribute to our community. Please consider a sponsorship with naming recognition for the following items privately or through your company. Come visit us to find even more plants! This is an abbreviated list (more coming soon). Make A Difference Take Action! Help us preserve plant life on South Padre Island. We are introducing proper pruning guidelines to prevent the loss of palms, a signature plant for South Padre Island and our region. We have advanced new policies to prevent mature plant loss and saved over seventy plants ourselves. But, we need your help to do more. There are so many ways to get involved. Buy an engraved paver to support the NPC. Make a mark in our garden. We are always open to exploring projects & sponsorships with other organizations. We rescue native plants on the island to maintain the ecosystem and preserve our lives here. Donate to help finish our exhibits and public botanical garden so that we can give back to the community. There are hundreds of ways to help us preserve native plant life on South Padre Island. Join us events throughout the year like Chrisgiving Eve, Earth Day, Midsummers Eve, Hallo-Wings and more! Join our sponsorship program and support new exhibitions at the Native Plant Center. Come take the walk and feel the unique, magnetized energy on our land. Plant of the Month is a series on plants we carry and promote at the Native Plant Center. More summaries coming soon!